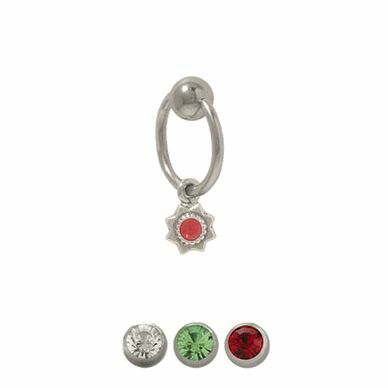 Be a star get this captive bead Belly Button ring - Ball closure ring 316L high grade surgical steel Ball closure with a Sterling Silver dangling jeweled star charm available in your choice of clear, green, or red. This belly ring is 14 gauge and the length is 12mm-1/2 of an inch. Entire piece is nickel free.